In the video on this page, expert and online Osteopath Tim Judd explains the triggers to leg, ankle and foot problems, how the leg, ankle and feet function and the reasons for discomfort and pain in men and women. Then learn the effective way to legs, feet, ankles pain relief. Now that you understand what causes leg, ankle and feet problems and how to prevent the most common leg, ankle and foot problems, it is time for targeted exercise to improve the range of motion. Click here for a sample of just one of the Legs, Feet and Ankle stretches available to you. For immediate relief of leg, ankle and foot pain, tension, stiffness and fatigue, go here for the Essential Legs, Ankles and Feet Exercises or add to cart now. 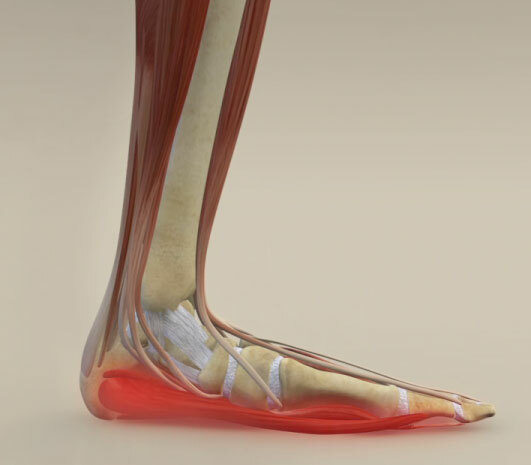 Learn about leg, ankle and foot pain and leg, ankle and foot joint pain relief through medical anatomy and 3D animation. What causes chronic leg, ankle and foot problems? 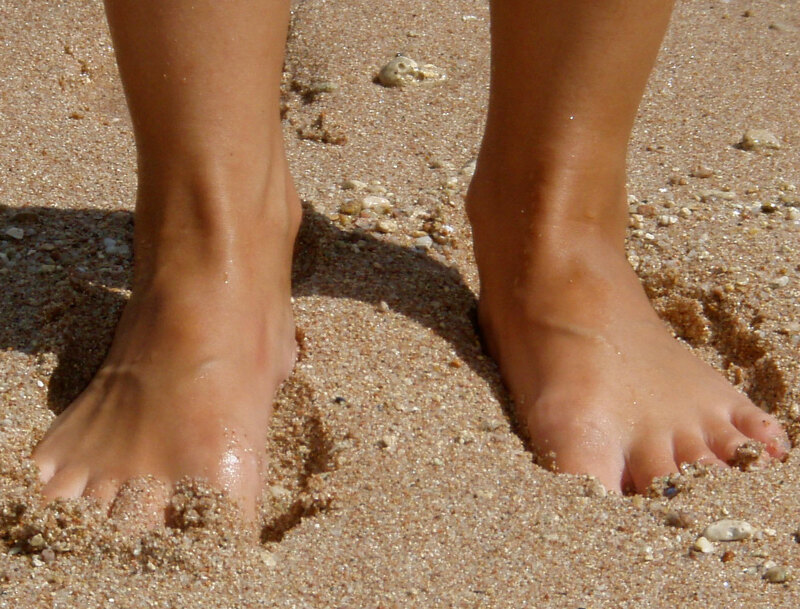 What are the most common leg, ankle and foot conditions? Why do I get ankle joint pain? What is Plantar Fasciitis? What are heel spurs? Are the tender spots pinched nerves, nerve compression or nerve entrapment? How do you stretch your legs, ankles and feet? Our feet and ankles do a huge amount of work and they can get really sore. Our feet are like springs. They have arches length ways and across the fore foot acting like shock absorbers when we stand, walk and run. These arches are held and maintained by muscles and ligaments in the foot and up into the leg. A number of common situations can result in foot, ankle and leg problems. First there is the sprained ankle. This is weakness in the muscles and ligaments that should be strapping the joint firmly together. Ligaments, which are an inelastic strapping over joints can be too elastic. This can be an inherited tendency, from previous injury or even from doing intensive programs like yoga, gymnastics or ballet. Another is pain in the sole of the foot. The spring and shock absorber effect in the foot diminishes over time. The ligaments and muscles lose their strength, increase their tension, go into strain and become inflamed and painful. In the sole of the foot this is called Plantar Fasciitis which can lead to heel spurs that present as pain at the front of the heel. More central tends to be a breakdown of the pad that protects the heel bone or calcaneus. 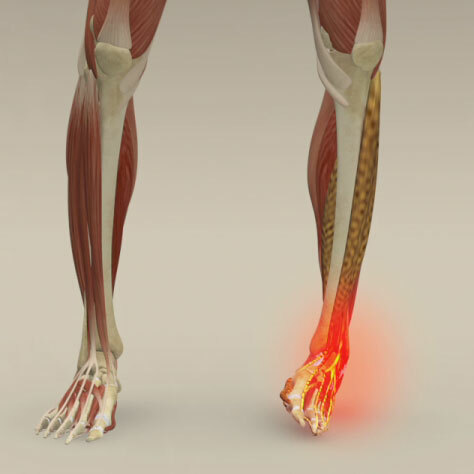 Excessive muscle tension in the leg prevents adequate movement in the foot preventing it from flexing up and down thus placing more strain on the spring dynamic of the foot and also on the muscle attachments to the bone. This commonly presents as Achilles tendon inflammation at the back of the heel. Also shin splints where the muscle on the front of the leg (shin) is pulling excessively at its attachment to the bone. Too much muscle tension can also be partly responsible for leg cramps, as can mineral deficiencies such as magnesium and calcium. Stretching and strengthening the muscles of the feet and legs can correct these problems. This muscle rehabilitation process will improve the spring in your feet and support any weakness in the ligaments by essentially strengthening our ankles. General foot and ankle rehabilitation will also be improved if you spend some time walking on uneven surfaces, like grass or soft sand. This stimulates more neurological activity which diminishes the likelihood of accidents and repetitive ankle strain. There are many more possible causes for problematic foot, ankle and leg pain. If you have an ongoing foot, ankle and leg problem see an Osteopath or Doctor for a proper diagnosis. Then you can confidently carry on with the full Stretch for Life home program for legs, feet, ankles pain relief. Two Set Lower Body & Upper Body DVDs for total body relief, repair and maintenance. All prices are listed in New Zealand dollars. (NZD). To read more from Tim’s Blog click here. To check out Tim’s Auckland practice click here. For information about conditions that affect the Legs, feet and ankles click here.